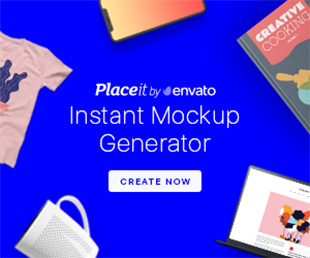 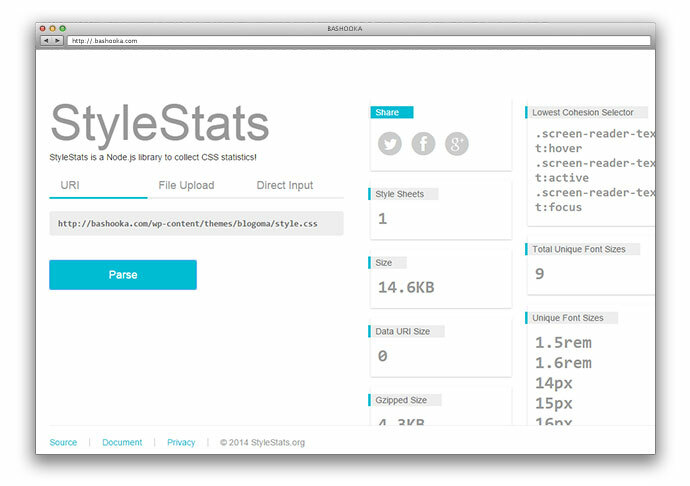 In this post i’ve compiled small list of useful CSS tools to help you speed up, simplify and optimise development of your projects. 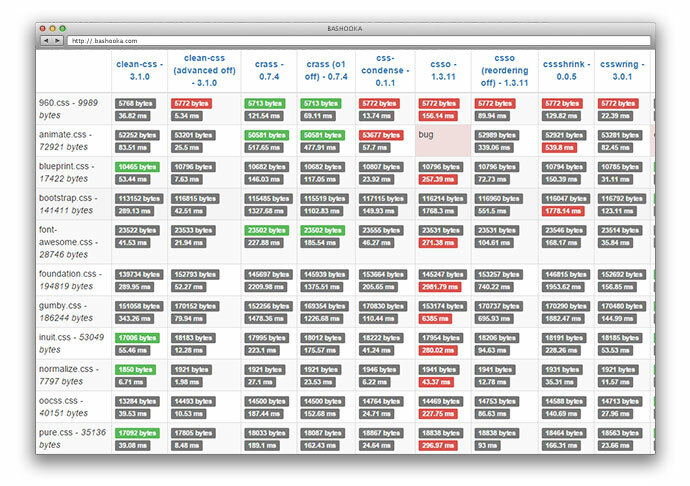 A comparison of CSS minification engines. 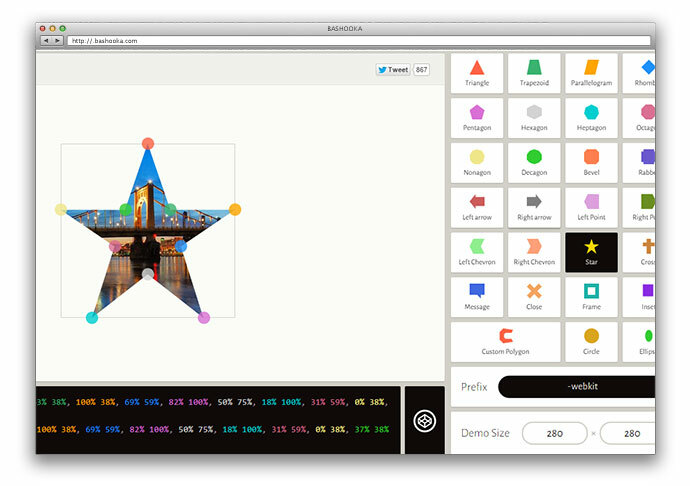 Clippy is a tool for generating values for shape functions for the new and cool CSS clip-path property. 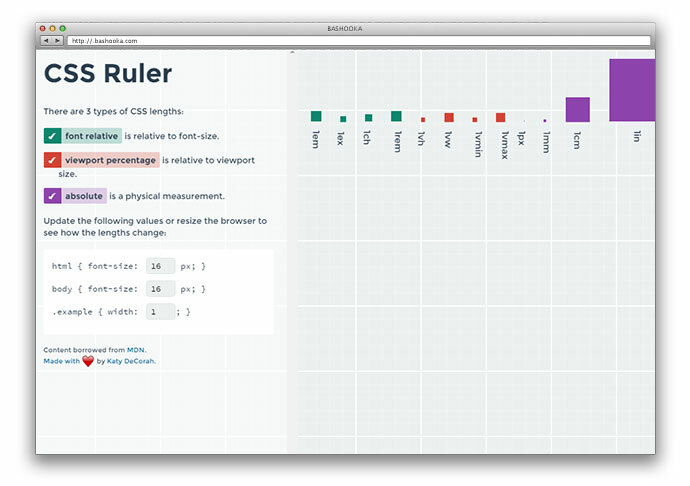 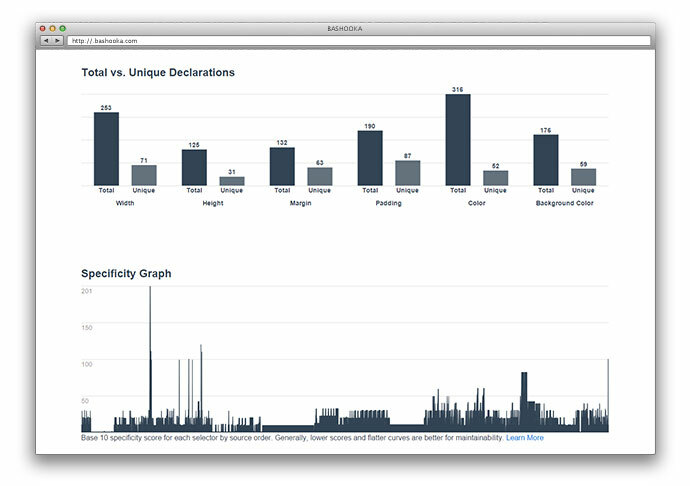 Great CSS tool to measure stuff. 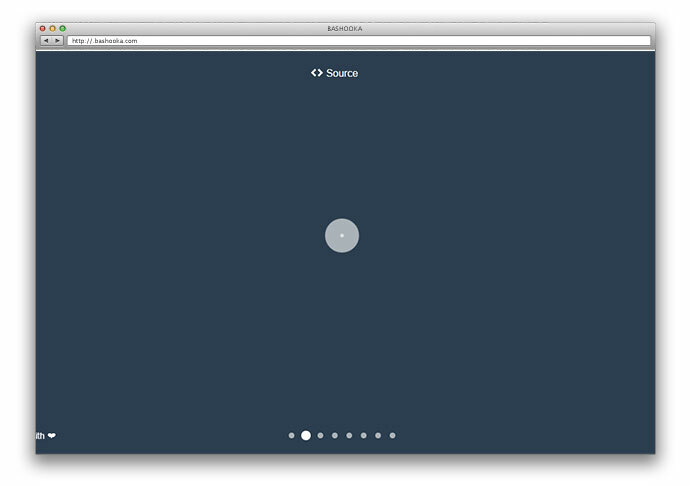 A collection of loading indicators animated with CSS. 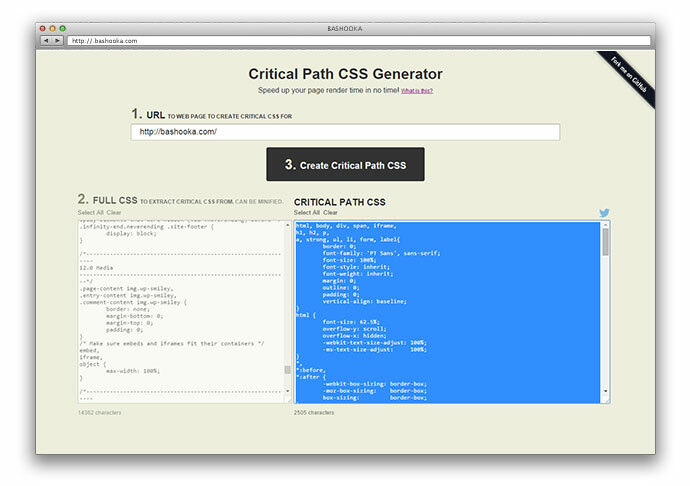 The critical path is the path to render a web page – what’s needed before that can happen. 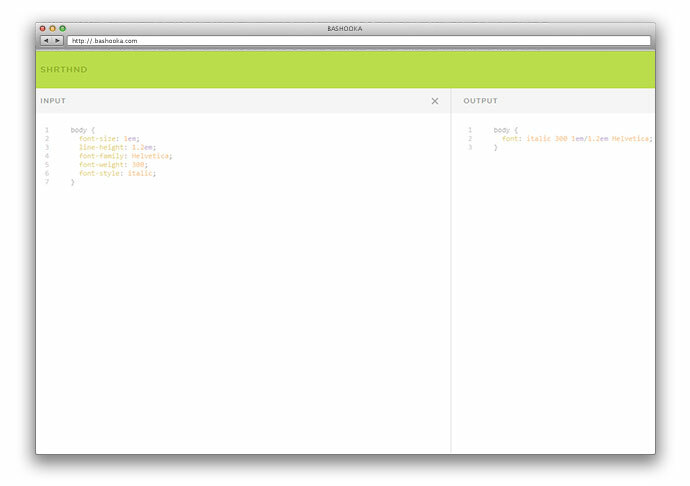 CSS Stylesheets block rendering. 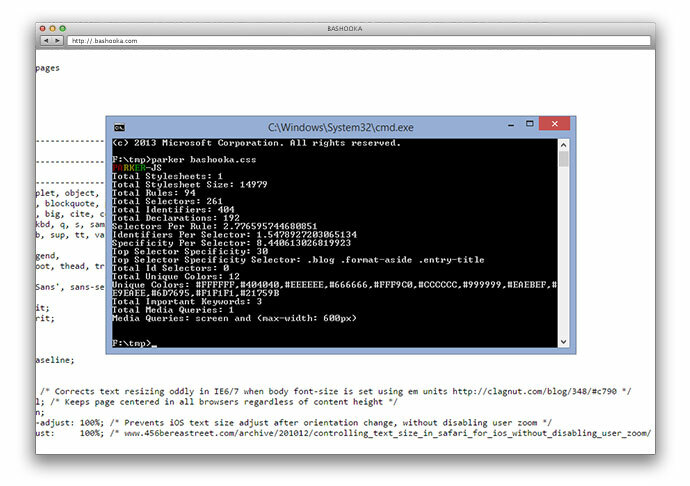 Until the browser has requested, received, downloaded and parsed your stylesheets, the page will remain blank. 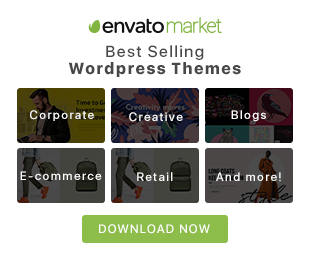 By reducing the amount of CSS the browser has to go through, and by inlining it on the page (removing the HTTP request), we can get the page to render much, much faster. 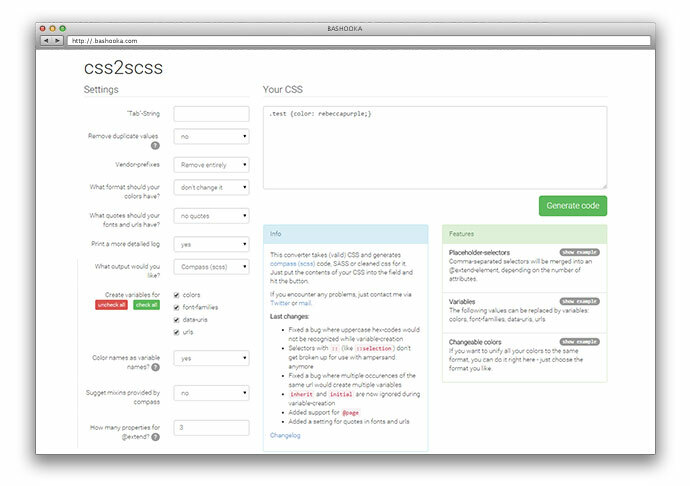 This converter takes (valid) CSS and generates compass (scss) code, SASS or cleaned css for it.